It takes considerable talent to write a character who is selfish, manipulative, and does horrible things yet remains sympathetic. You find yourself rooting for this shady character, wanting him or her to find happiness even though you know the character doesn't deserve it. Such is the case with Morpheus, who takes over the role of the "caterpillar" in Howard's imaginative version of Wonderland. As a child, Alice in Wonderland was never one of my favorite stories. Alice is an incredibly obnoxious little girl. I never liked her. Plus, the 1951 Disney version of the story is creepy and somewhat terrifying. 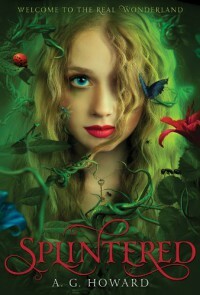 I loved Splintered and read it within the span of a few hours. I appreciate that the author was able to draw upon the world Lewis Carroll created without regurgitating certain plot elements into a bland retelling. Howard's take on Wonderland is just as twisted, perhaps even more so, than the original story. Again, I LOVED this story. It was almost a perfect read. Almost. The main character, Alyssa, is fantastic, as is Morpheus and the other creatures inhabiting Wonderland. Unfortunately, the one character who grated on my nerves was Alyssa's principal love interest, Jebediah Holt. Not only is Jeb one of the worst character names ever (it's up there with Humberto and Katniss), he's also possessive and heavily critical of Alyssa's choices. 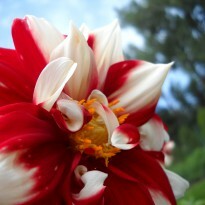 In fact, he tries several times to make decisions for her even though he's in a relationship with some other girl. This is a big no-no in my book. While I'm not Jeb's number one fan, there's a lot to enjoy about this book. It contains all the elements of great storytelling - forbidden attraction, adventure, intrigue, humor, and betrayal. I highly recommend it.